They operate unattended for long periods of time. 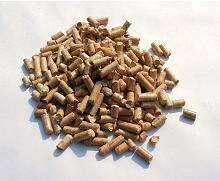 Pellets of a wide variety are available by mail or at specialty shops. Their fuel’s extremely low (<5%) moisture content tends to reduce smoke’s propensity to collide with and stick to the meat’s surface. This very dry fuel combined with ON/OFF control tends to drive combustion temperatures alternately above and below the 650-750F “sweet spot.” In general, they produce a very light flavor profile at higher temperatures and a much heavier one at lower temperatures. Their system of hoppers, gear-motors, fans, augers, and electronics is relatively complex. Fuel must be kept dry to avoid feeding problems such as hopper bridging and auger jams. 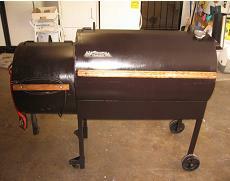 Some folks enjoy the “Playing-with-Fire” part of making barbecue, and there’s none of that going on with a pellet cooker. Fill the hopper and push a button.